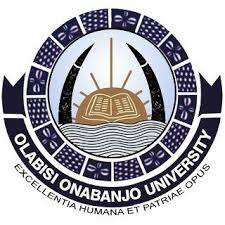 The management of the Olabisi Onabanjo University (OOU), Ago Iwoye, Postgraduate School has announced a new deadline for registration and payment of 2017/2018 academic session school fees. In view of the numerous appeals received from Postgraduate Students; the Management has approved the extension of deadline for payment of School Fees and Registration for 2017/2018 Session to Wednesday 7th March, 2018. Due to the Christmas and New Year holidays, the Provost has approved the extension of period of payment of school fees for 2017/2018 session to Monday, 15th January, 2018. Any returning students who could not pay his/her school fees by 28th February, 2018 should apply for Leave of Absence for 2017/2018 Session through his/her Head of Department and the Dean to the Secretary, Postgraduate School between 1st and 9th March, 2018. All students are to note that no student (Fresh and Returning) will be allowed to pay school fees after 28th February, 2018.